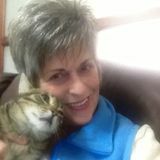 Tennessee :Experienced Short/Long Term House/Pet Sitter Seeking Job Opportunities, up to 6 months or more. Nice to meet you! My name is Margaret. I am an experienced, short/long term house/pet sitter with great references. I am presently in a 6 month long term house/pet sit that ends April 30th. I am available to house/pet sit after that, preferable in Tennessee. My home base when I am not sitting is Chattanooga but work mostly in the Nashville and surrounding area. Please reach out to me if you need a trustworthy, reliable, mature sitter to look after you home and pets. I am a mature, experienced house/pet sitter with great references. I will take care of your home and fur babies like they were my own. Pricing negotiable short/long term.